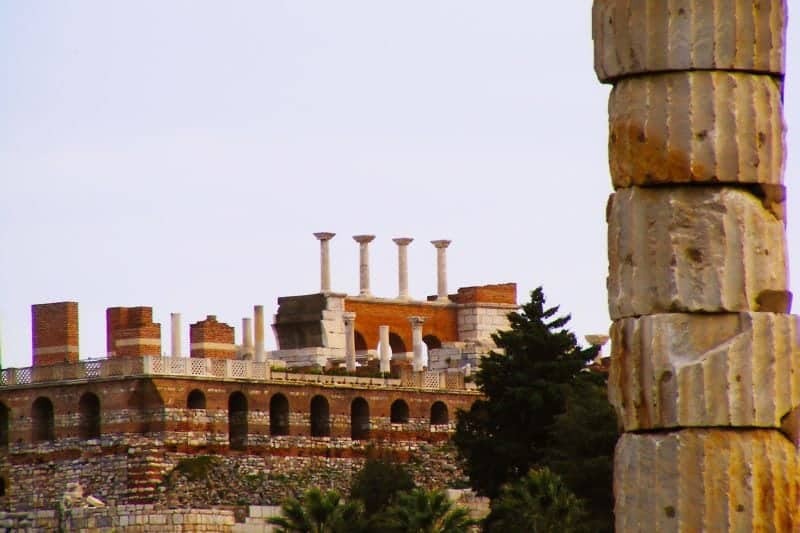 Visiting the Temple to Artemis when traveling to Turkey is simply one of the things you should do when you visit Ephesus. The Temple of Artemis was 4 times larger than the Parthenon and was described as the largest temple and place of worship for the Greek Goddess Artemis. The temple has been rebuilt many times in its long history and today only vendors and tourists visit the site regularly. The temple was built in a marshy area which was chosen to prevent damage from future earthquakes. The Cult of Artemis constructed the temple in 650BC on a site that was sacred to the Mother Goddess, Cybele. The wonder and splendor of the temple attracted both pilgrims and worshippers from far and wide and the Cult of the Goddess was strengthened until, it was said the night that Alexander the Great was born. An arsonist who wanted to become immortal set fire to the temple but Artemis was busy with Alexander’s birth that she could not save her temple in time. The Temple of Artemis was eventually rebuilt remaining true to the original concept but with the addition of a raised platform. However by 263 AD, the Temple was first plundered by the Emperor Nero and then eventually destroyed by the goths. It was reconstructed again in the 4th century, only to be abandoned and stripped of its marble by the end of the century. 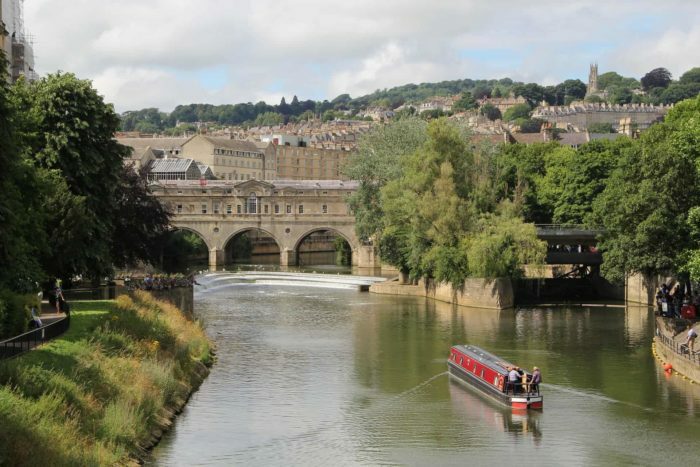 The site of the Temple of Artemis was discovered in 1869 on an expedition sponsored by the British Museum, and several artifacts and sculptures from the reconstructed temple can be seen in the museum today. Standing tall in the marsh is the one surviving column which suggests the grandeur of the original temple. According to Pliny 127 columns similar to the one remaining made up the Temple, each one was over 60 feet in height and many decoratively carved. 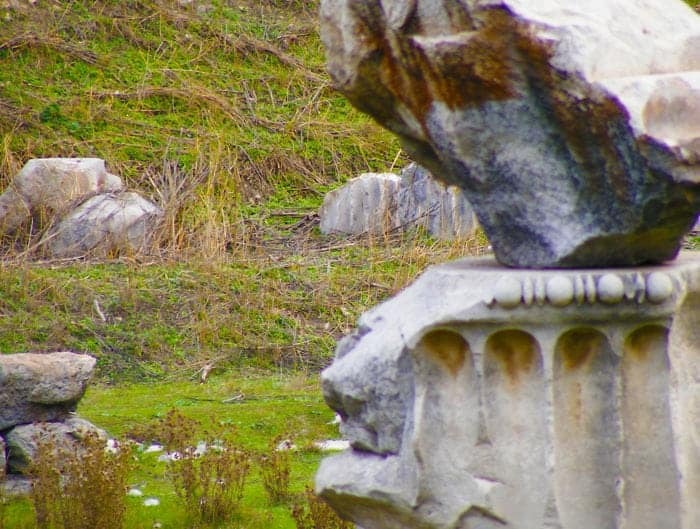 The Temple of Artemis was adorned by many fine sculptures and statues. The inside was gilded and painted and according to legend many of the sculptures were tributes to the Amazons who were said to have founded Ephesus. Unfortunately, all that remains is a single column and some rubble on the ground. 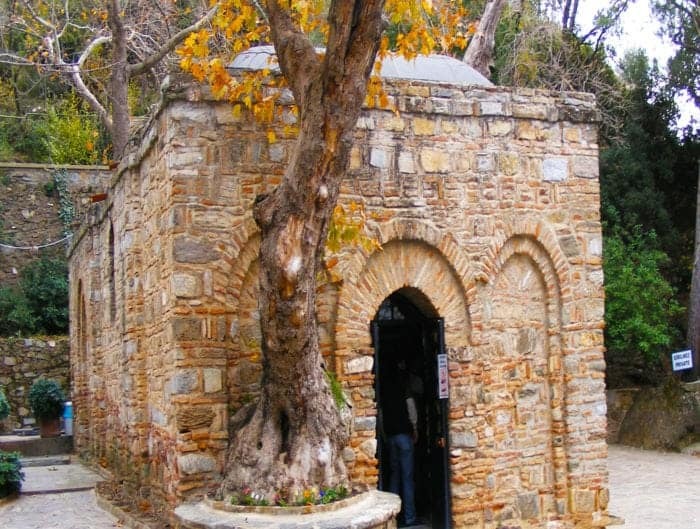 Some of the stone is believed to have been used for the nearby mosque and most of the archaeological remains have been removed to the British Museum. 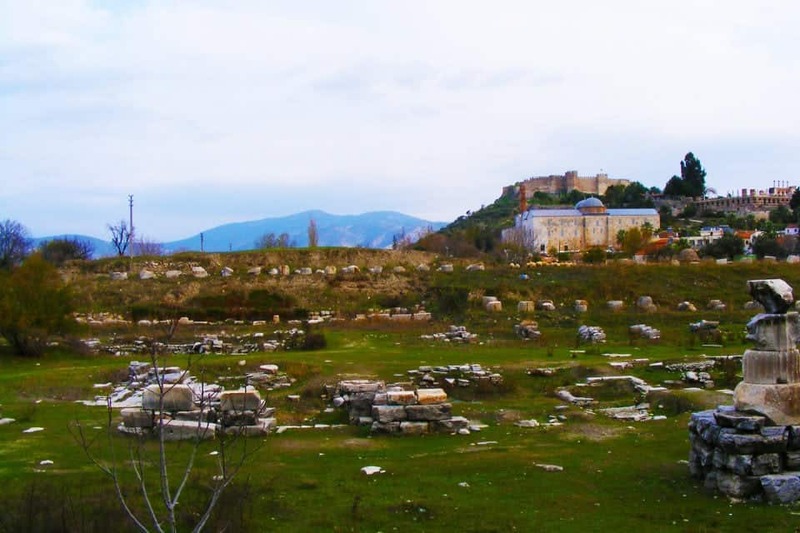 It is known that the first Ephesus settlement was built around the Temple of Artemis, which was destroyed by an earthquake. After the quake the people built a new temple more imposing than the last wit the support of Roman empire. 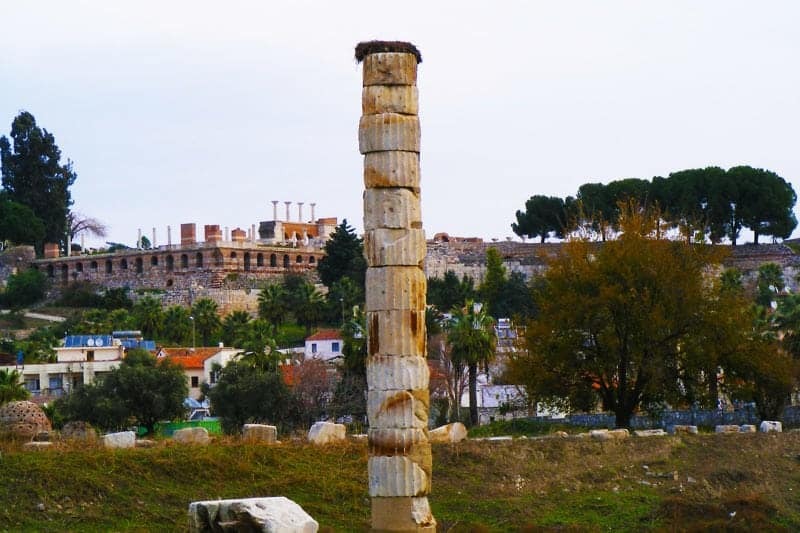 The Temple of Artemis was once one of the 7 wonders of the world. The Temple of Artemis was located near the ancient city of Ephesus, about 50 km south from the port city of Izmir, in Turkey. 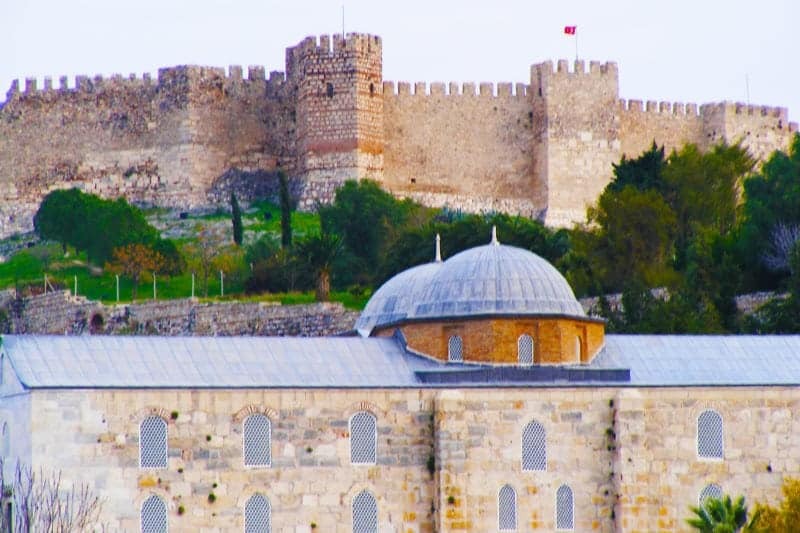 It was completely rebuilt three times before its eventual destruction and the temple in its last version was finally destroyed by a mob in 401. Only the foundations and sculptural fragments of the latest of the temples at the site remain. New excavations and explorations on the Temple of Artemis are said to be in the works and they anticipate 10 years of archaeological work to be underaken. 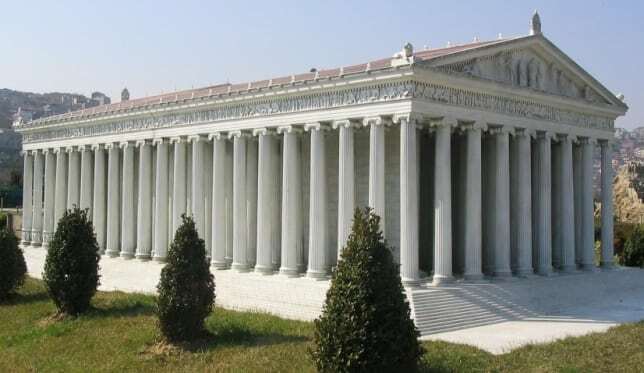 This is an image of what the Temple of Artemis was said to look like. It’s going to be an interesting 10 years in Turkey if the excavations of the Temple of Artemis are carried out. I for one will be back to view this ancient wonder over the next few years.